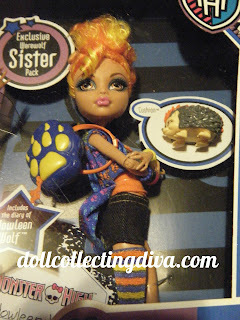 There are two versions of the incredible cute Howleen Wolf currently available from Mattel. 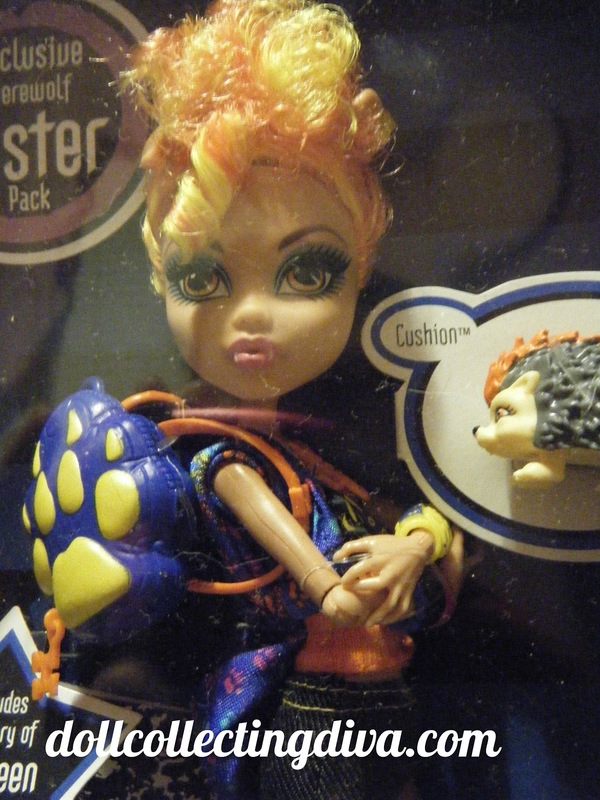 The basic Howleen that comes in a set with her sister Clawdeen and the Dance Class hip hop version. The outfits and hair color are different but both come with one ear folded over which I think is so cute. 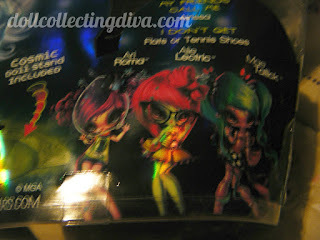 So my question for you is which Howleen do you prefer, Basic or Dance Class? 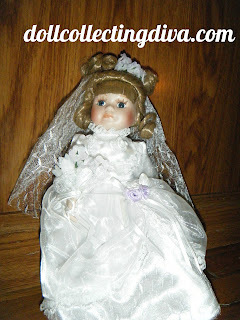 If you haven't checked out sfstyleclub.com you really should, they have wonderful craft ideas for your dolls. 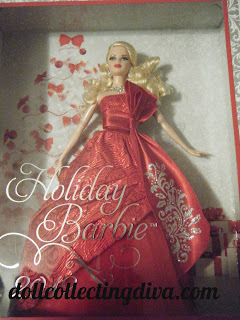 I thought today we could do a little comparing of the Holiday Barbie from 2012. As many of you know she was released as a blond, brunette and an African American version. 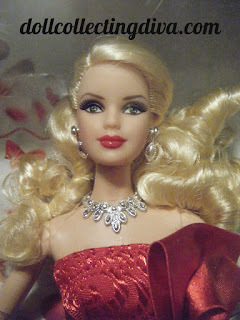 I did a review a few months ago on the brunette version, and received the blond version as a gift over the holidays. I was wondering which you prefer. I have not noticed any difference what so ever except the hair color. That being said I myself prefer the brunette because she is different. 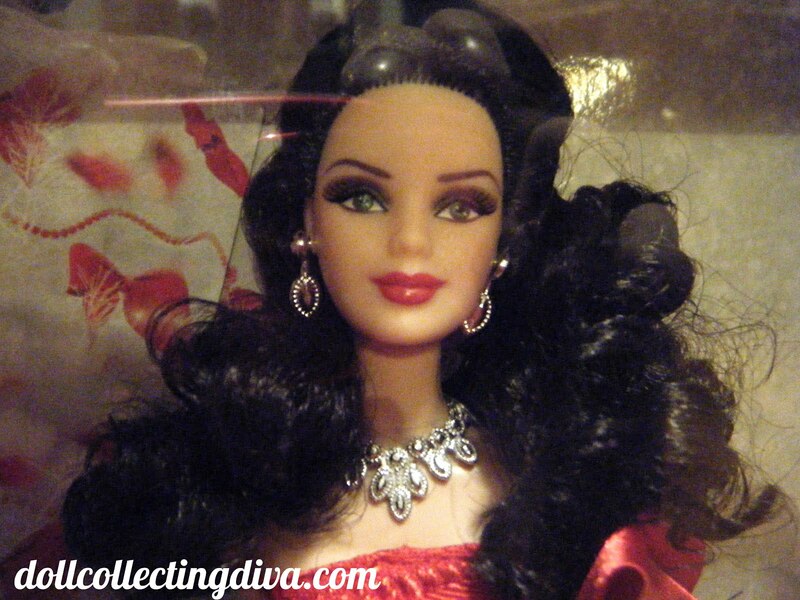 Since most barbies are blond I think the brunette was a refreshing change. With the release of the Scaris line we have seen a couple of new characters join the Monster High family, one of these characters is Jinafire Long the daughter of the Chinese Dragon. 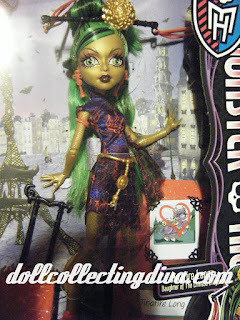 Jinafire is one of the ghouls the Monster High ghouls meet on there trip. 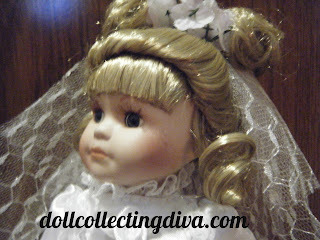 The Jinafire doll is gold color with a scale design all over her body. 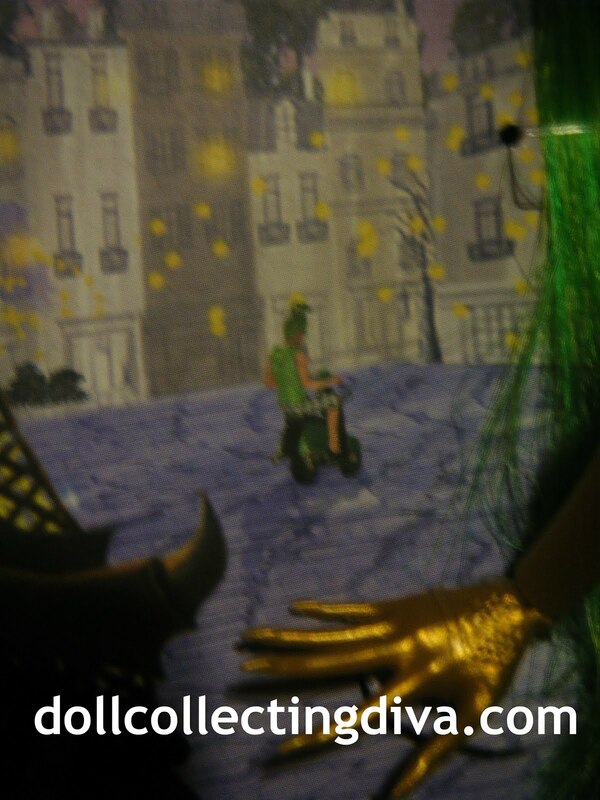 She has a long slender gold tail with green on the end.She has long bright green hair (that matches the green on her tail) with black streaks. 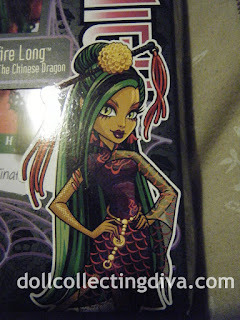 Some of her hair is styled into a bun on top of her head and has a Chinese decoration attached with plastic bands.She has yellow and green reptilian eyes with pink eye makeup and dark plum colored lips. She is wearing a dark purple dress with blue and red print and a black mesh with red scale design as a sleeve on her left arm. She has on a gold belt with a charm that has a skull on it and more of the black and red mesh is attached to the belt.She has on red and gold high heels with a tassel design, her earrings are also red with the same design, and on her right arm she is wearing a red arm cuff. 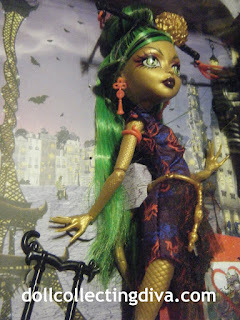 Her scales stop on top of her hands and she has long clawed fingers. She comes with a red suitcase with a traditional Chinese dragon design. the suitcase has gold decoration at the top and a black handle. She comes with a travel journal that has a picture of her pet on the cover. 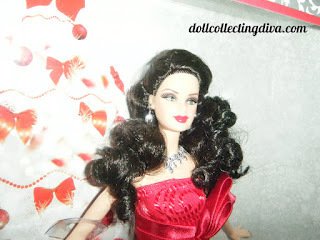 she also comes with a black hair brush and stand. 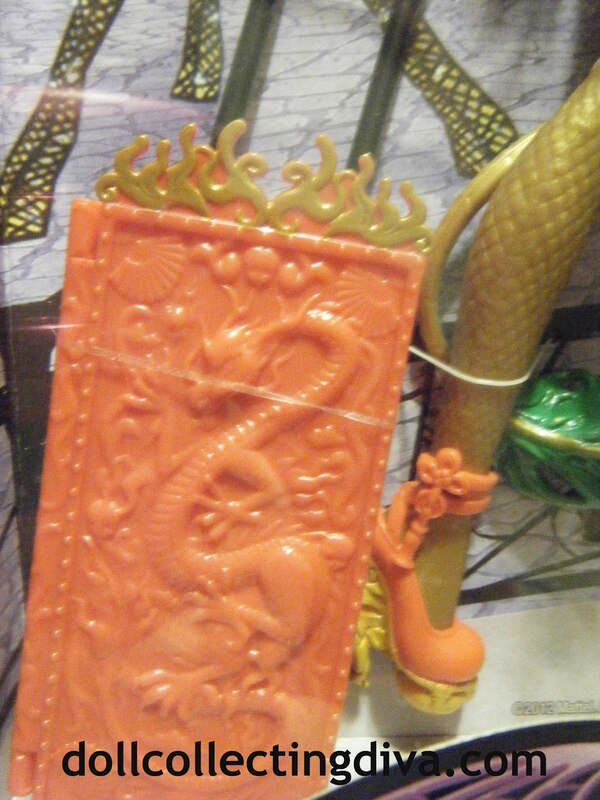 The artwork on the background of the box is very detailed. If you look closely you can see Deuce riding a motor scooter. 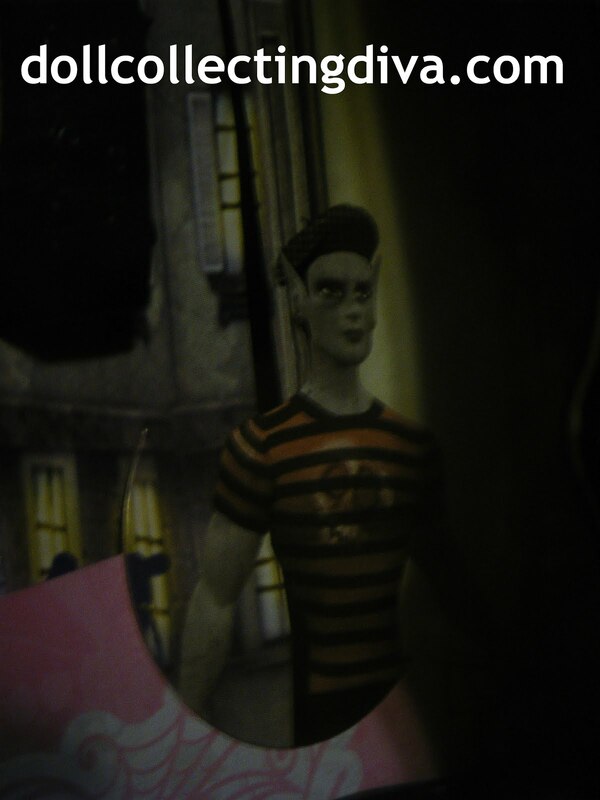 Rochelle's gargoyle boyfriend is also in the background along with shadows of the other ghouls. The back of the box contains a group photo of all the characters in the Scaris deluxe line, and Jinafire's biography. I think she is very unique and I love having new characters with a more international story. What do you think of Jnafire? Who do you like better her or Skelita? 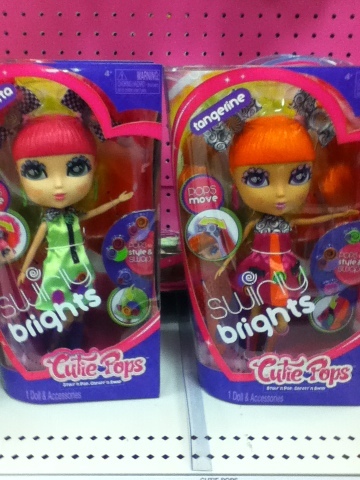 I was in Target today and came across the new Cutie Pops Dolls. I found Tangerine and Magenta. They have brightly colored hair and outfits. 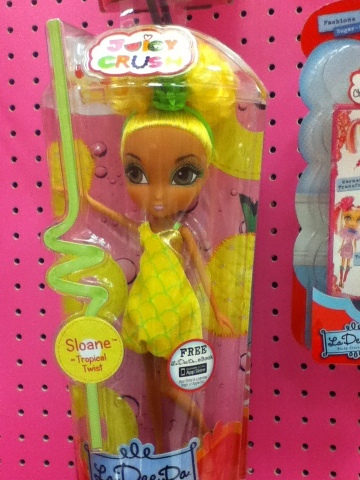 I also saw Chiffon with bright yellow hair. Out of the three new ones Magenta is my favorite, but I prefer the original ones better. I think the more realistic hair colors look better and the original outfits were a little more creative. 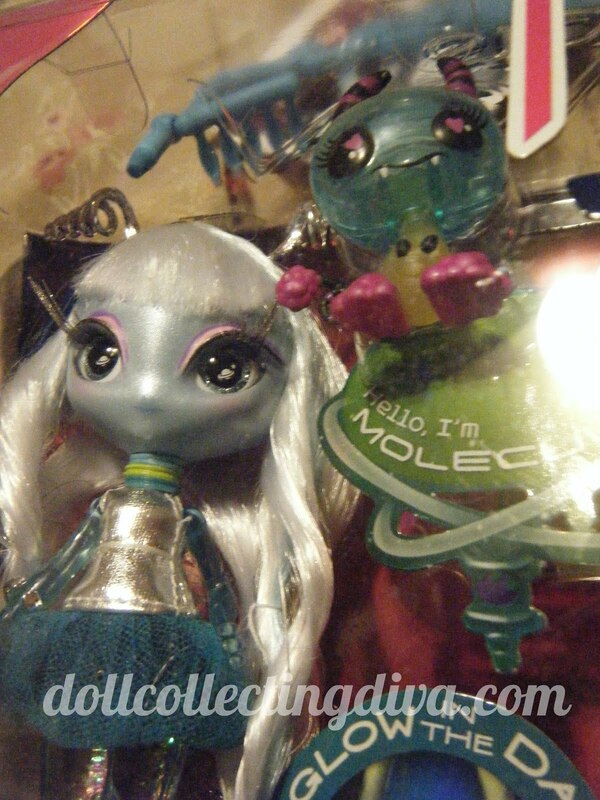 With all the new lines coming out for some of the more popular dolls I decided it was time to purchase some of the ones i had been eyeing for awhile before they are discontinued. One of the dolls I have been wanting for awhile and kept putting off purchasing was Novi Stars Una Verse, but when I found her on sale on amazon I knew it was time to buy her. She arrived a few days ago and I'm just now getting around to opening her up. The glitter in her legs has bothered me every time I've seen her in a store, it was puddled at the bottom and wouldn't move around like it suppose to. 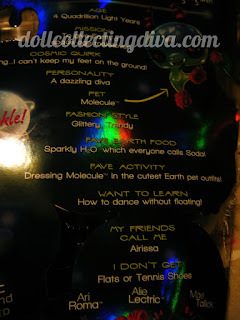 Luckily the one i received doesn't have that problem (yay) her "sparkles" move very well in her legs and that just makes me like her even more, I even saw a few little stars in there. I don't understand the headband on the top of the box, it doesn't look like it would fit a child and it looks like it could possibly hurt to have in your hair. 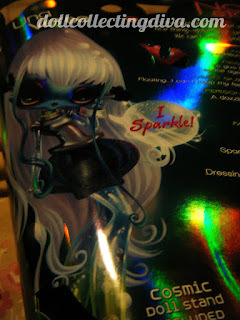 The cute Monster High style biography on the back of the box is interesting, but as someone on another blog pointed out some of the references and grammar is inaccurate. The dress is prettier on the box and looks alittle too short on Una. She is wearing a light blue rose ring on her right hand (cute) and a silver colored bracelet. 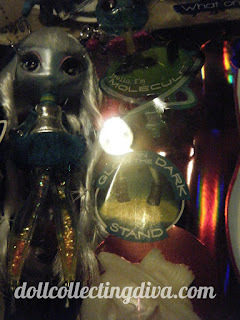 I do NOT like the shoes but they have to be styled that way to fit in the glow in the dark stand. I think she has the prettiest hair out of all the Novi Star dolls with a streak of dark blue and a streak of light blue among her white hair. 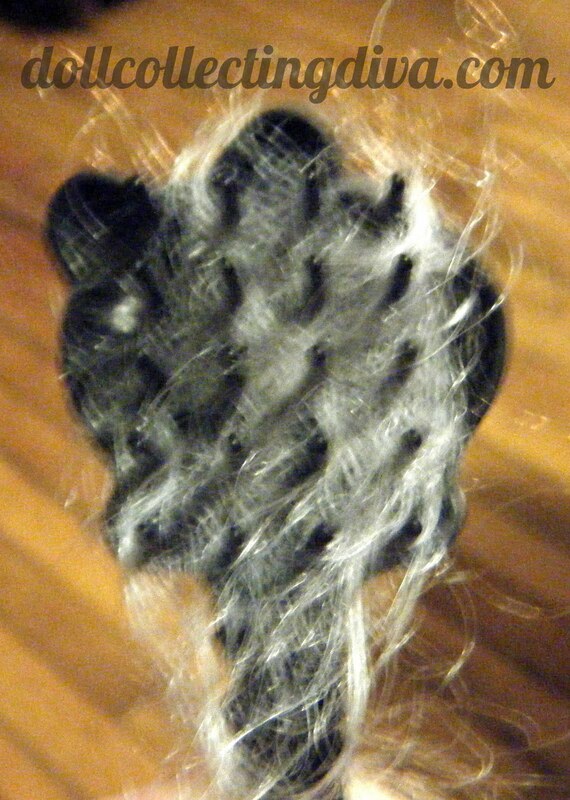 The white hair seems a little thin in the back and you can see her blue scalp. The styling product in her hair is flaking a bit in her bangs.The hair texture is coarse and I'm not sure if it can be styled well. I decided to brush her hair and see if it improved it any, the brushing just caused a brush full of hair to come out and her head to fall off. 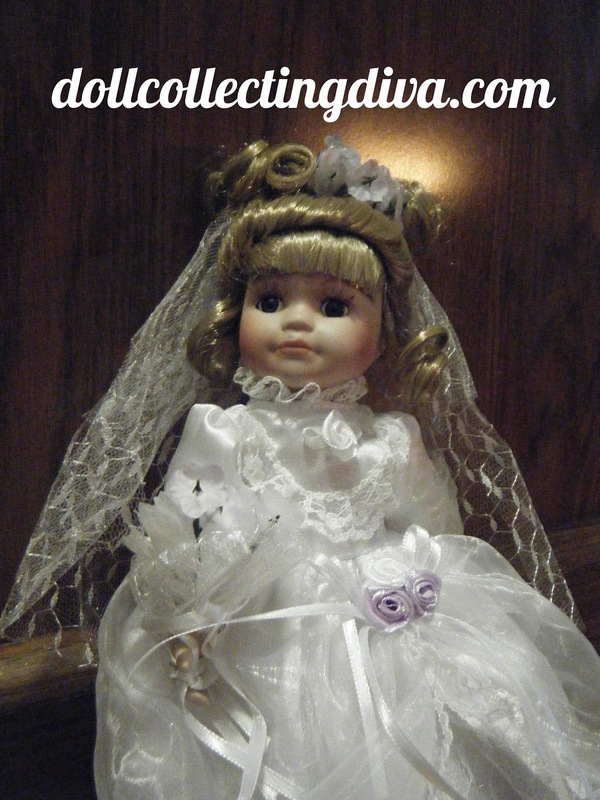 Her head doesn't seem to want to stay on and that could really bother a younger child. Her eyes are really pretty though. they are a sparkly light blue with a white planet and star in the pupil. 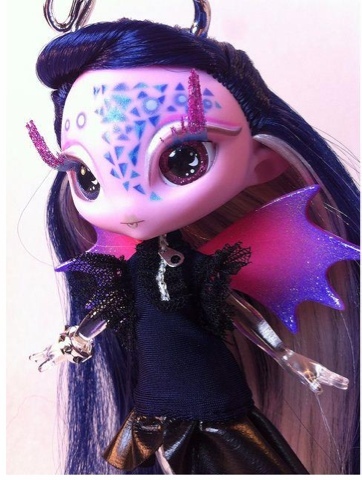 Una has pink and purple eyeshadow and glittery eyelashes. 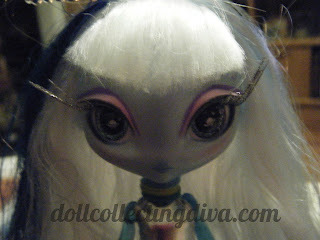 Under her white bangs she has three pink circles outlined in purple (same colors as eyeshadow) over each eye. 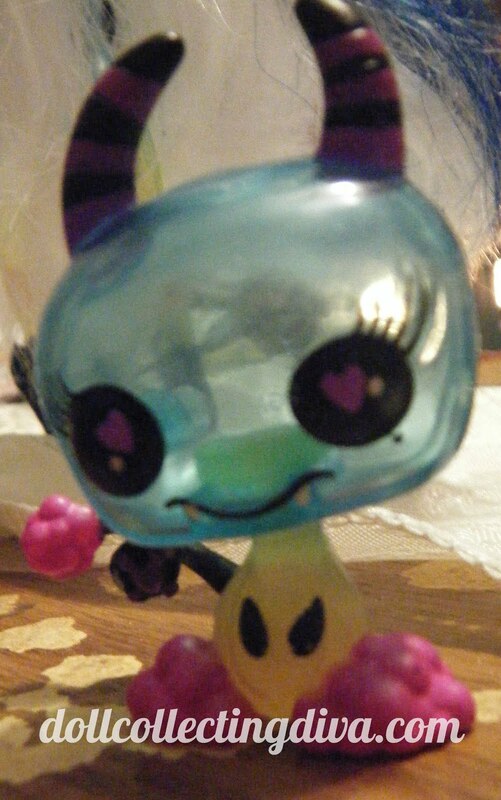 Her pet is kind of cute with his clear blue head, yellowy green body, and pink feet. Molecule has purple and black striped horns, little white fangs and purple hearts in his eyes. 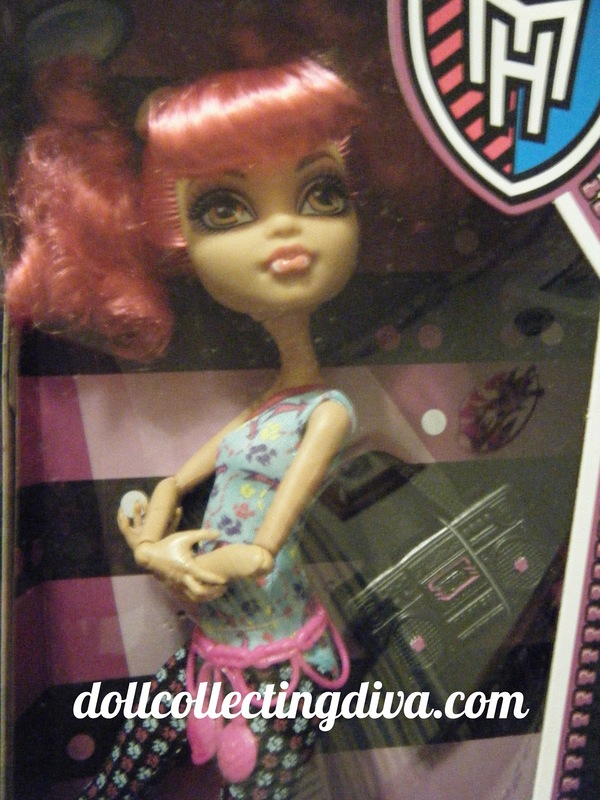 Honestly I'm not very impressed by this doll and even for the sale price I don't think it was worth it. 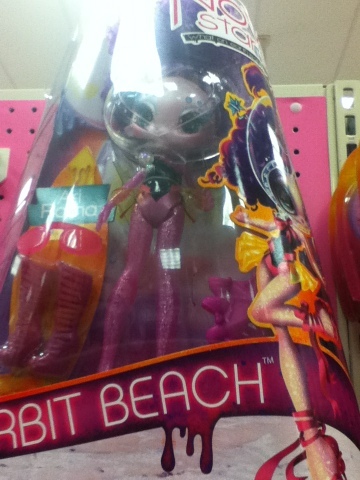 I might by one of the Orbit Beach dolls to see if it was just this particular doll or something with the product line. 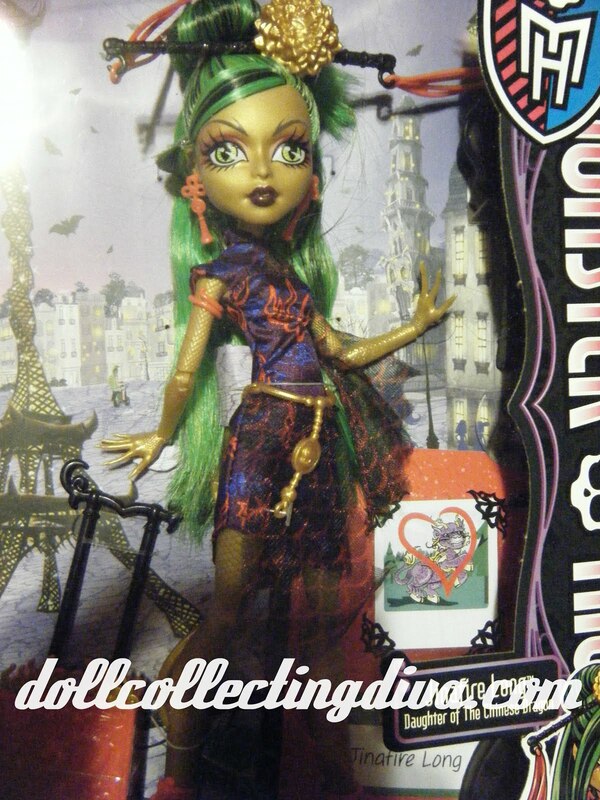 At the regular price point for this doll, I would pass and buy something better quality like a Monster High or Barbie doll. 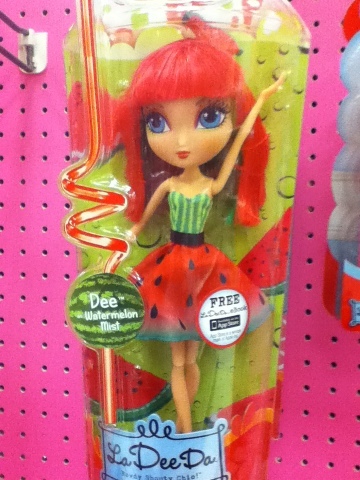 There seems to be a fruit themed line in the La Dee Da's future. Since we have already seen a candy theme fruit seems like a cute next step. 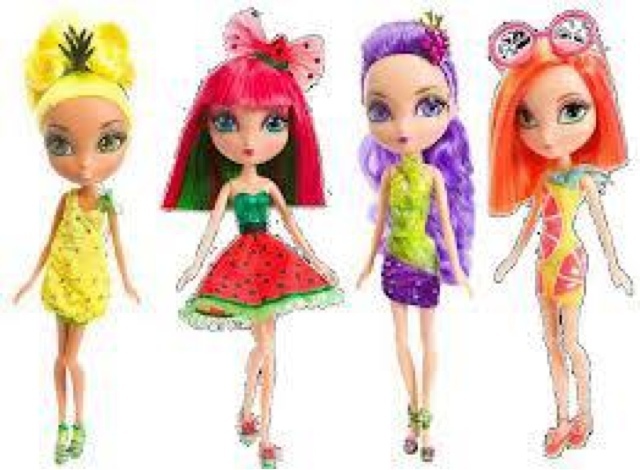 The Juicy Crush dolls are due out in the spring and this is the stock photo ( NOT my picture ) that is floating around in cyber space. 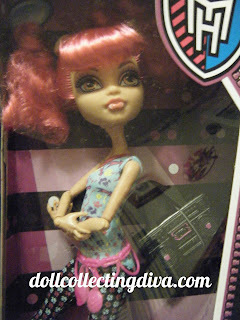 I'm not sure what to think of these yet and unlike the other themes in the La Dee Da line I don't have a favorite doll. Which one do you prefer? The new year has just begun and already photos of new dolls are showing up everywhere. 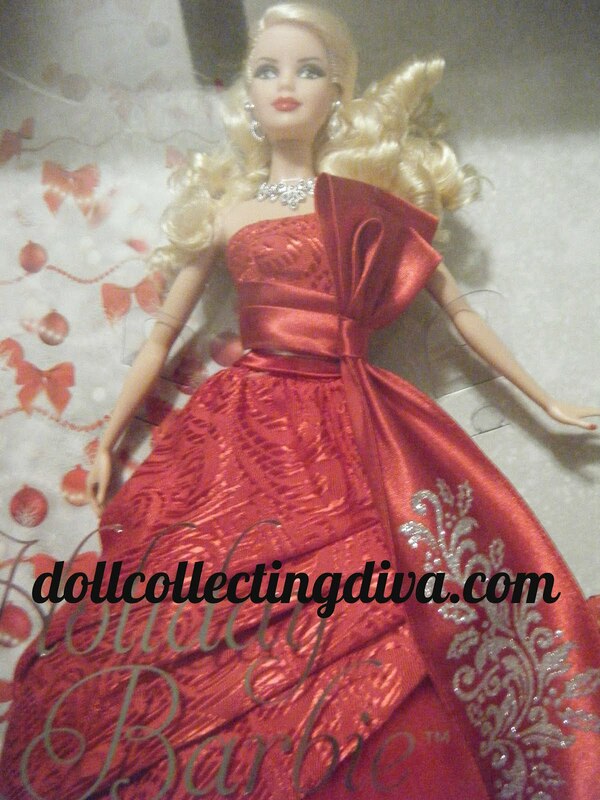 These photos are from Flickr of the two new Novi Star dolls, Tula Toned and Malie Tasker. Malie has four arms that are suppose to be stretchy. Tula has two different colors of "space goo" in her body, she also has wings and a tail. To me Malie resembles a bumble bee, I'm not sure why but that's what she reminds me of. 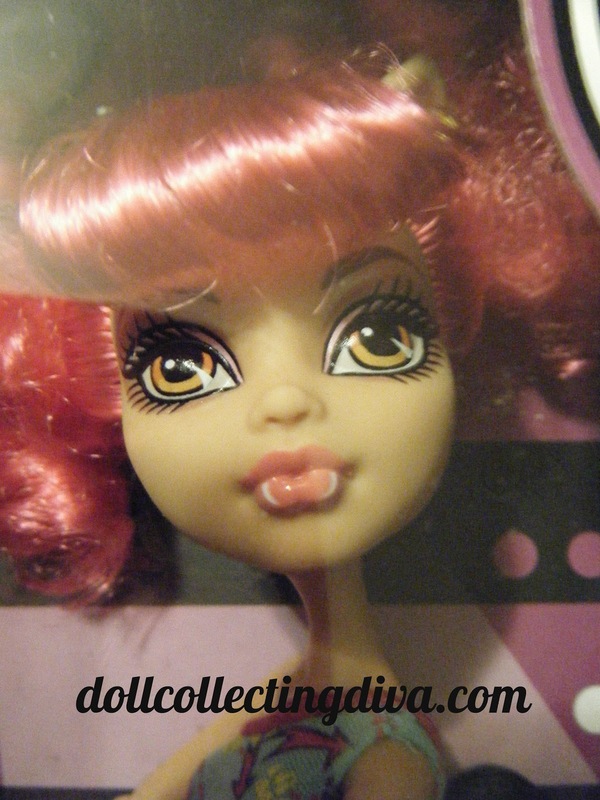 I like Tula's concept but will have to see her in person before I decide, I'm picky like that. 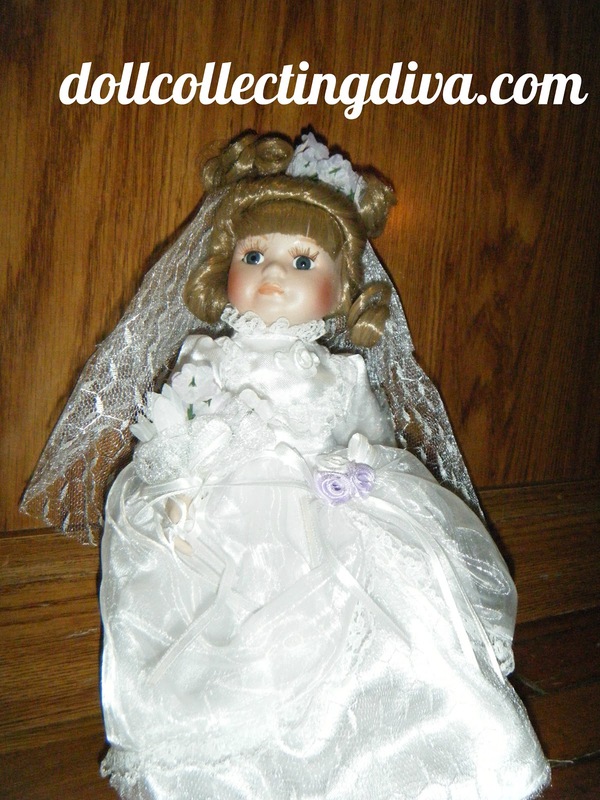 For more pictures and a review visit actionfigure81's Flickr. Update: As of January 7 the Power Ghouls are in stores, however the first two are Target exclusives. It is unknown if the rest of the line is as well. 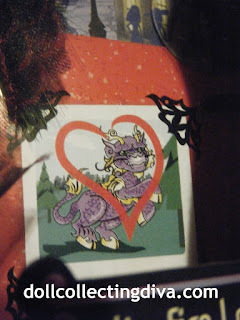 They are packages with little comic books similar to the story books in the Scarily Ever After line. Pay close attention to the author/ illustrators names on the cover of the books one might look very familiar. In July we got a sneak peek at two of the ghouls in Monster High's super hero themed Power Ghouls line. 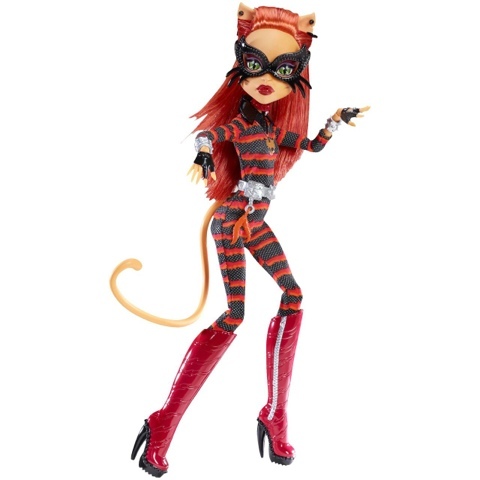 They were Spectra and Clawdeen each as a super heroine. 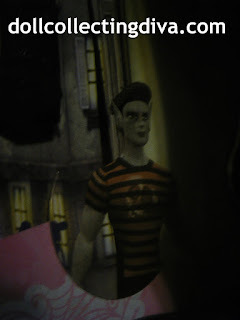 It has now been revealed that they aren't the only ghouls in this line, Frankie will join them also as a super heroine. Toralei will make her long awaited second appearance as the villain in this line. 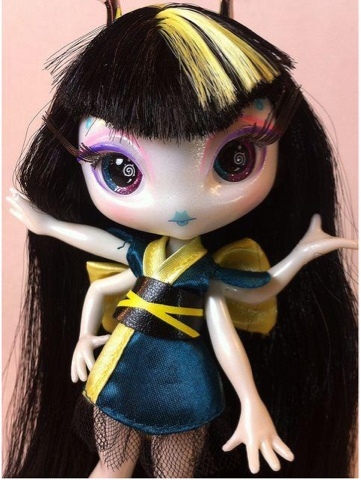 I'm looking forward to the second Toralei doll and of course the new Frankie, however I will have to see Spectra in person before I decide on her. 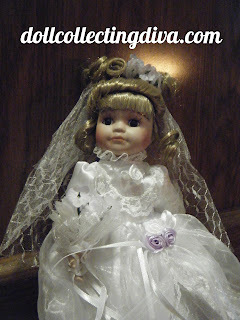 I found these pictures of the new dolls online, these are NOT my pictures. Which one is your favorite?